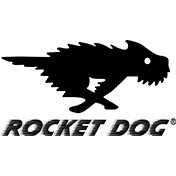 Stand out from the crowd with Rocket Dog trainers! Based in California Rocket Dog burst onto the scene in 1997 and today staying true to its roots the brand encapsulates the laid-back ethos of the Californian lifestyle with designs taking influences from street and urban styles. 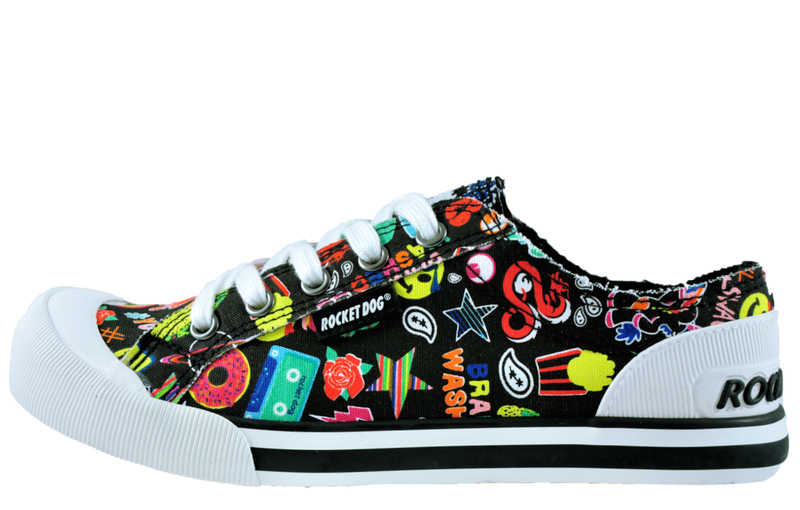 Rocket Dog takes inspiration for their funky creations from all over the world, with all finishing touches and unique details chosen with considerable care for irresistible footwear that you will never tire of wearing. 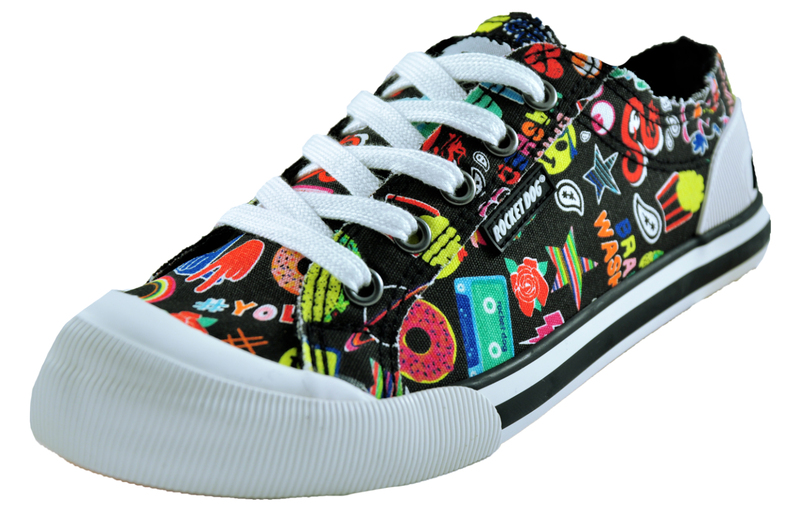 The classic ‘Jazzin’ plimsole is given a modern twist with a trendy all over multi print adorning the upper. 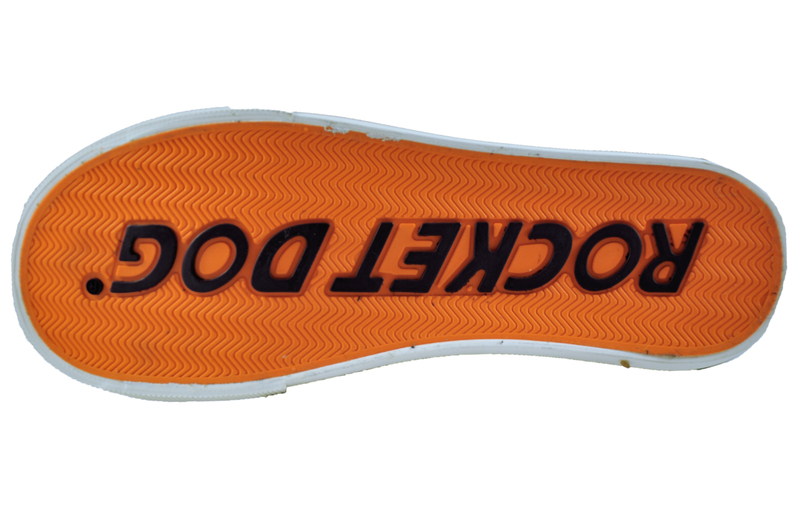 The Rocket Dog Jazzin has a lightweight rubber sole which is comfortable and supportive for all day wear with rubberised reinforcements to the heel and toe bumper for increased durability in high wear areas. The full front 5 eyelet lacing system means that they are easy to get on and off with a secure fit to the foot. 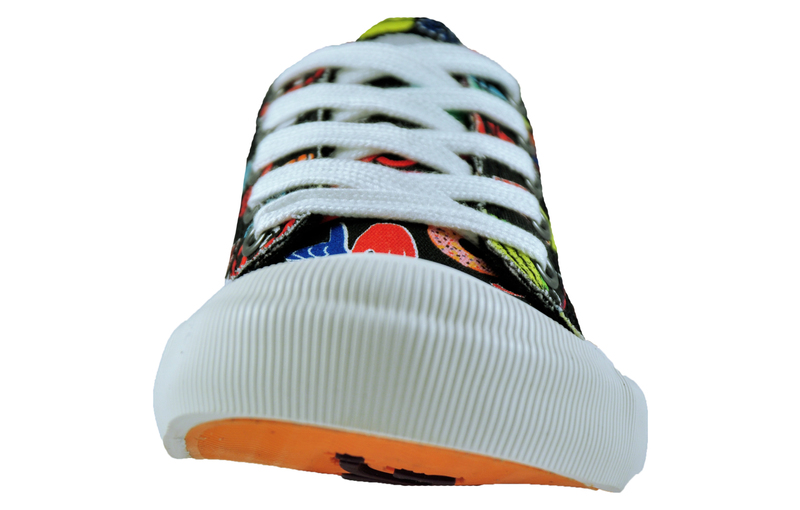 The Jazzin is stylishly finished with a Rocket Dog branded badge to the side, embossed standout branding to the heel and a woven brand tab to the tongue. 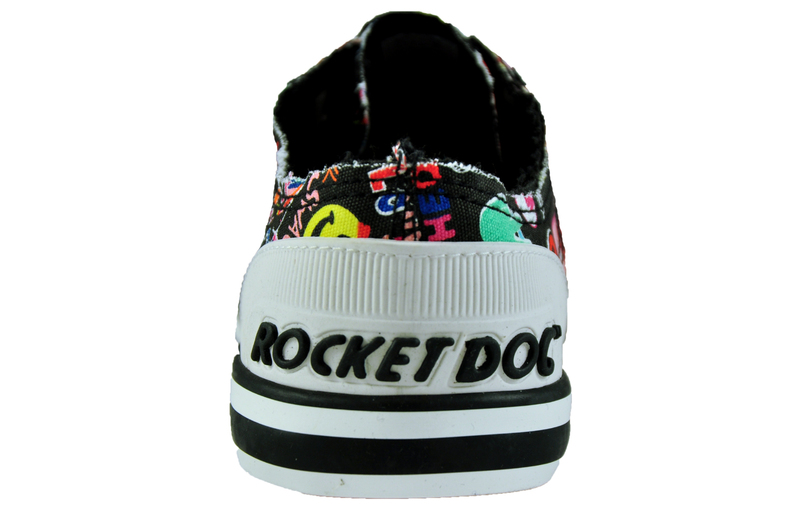 Not forgetting the bold branded design to the sole, these Rocket Dog Jazzin have serious attitude and will certainly get you noticed on the streets.